People walk by a CVS Pharmacy store in the Manhattan borough of New York City, New York, U.S., November 30, 2017. CVS Health on Feb. 20 forecast that 2019 earnings would be below Wall Street estimates. It said operating income was expected to be between $11.7 billion and $12.1 billion, and adjusted earnings should be between $6.68 and $6.88 per share. Analysts had been predicting $7.41 in adjusted earnings for the pharmacy and pharmacy benefit firm, according to I/B/E/S data from Refinitiv. 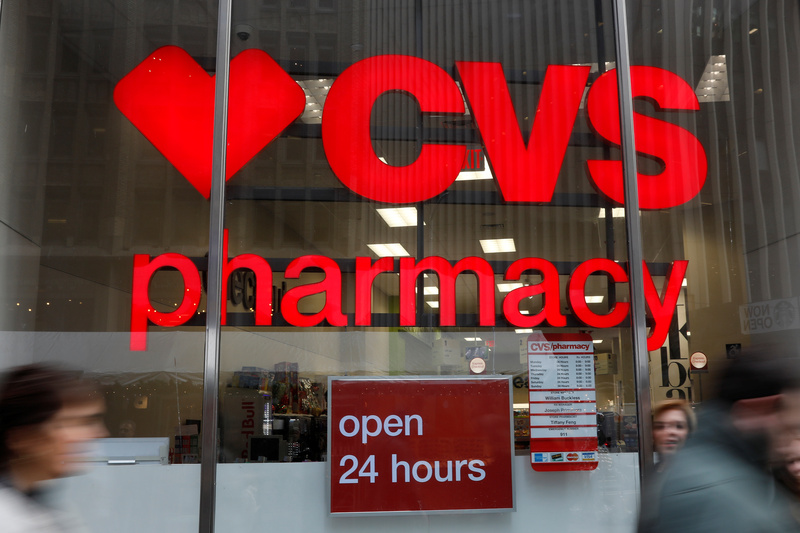 CVS blamed reimbursement pressures, declining benefits from new generic drugs, and continuing problems in its long-term care business, which has been hit by lower occupancy in nursing homes and numerous customer bankruptcies. The company completed its $77 billion acquisition of health insurer Aetna in the fourth quarter. CVS also reported a net loss of $421 million in the fourth quarter of 2018 after taking a $2.2 billion goodwill impairment charge on its long-term care business, compared with profit of $3.3 billion in the same period a year earlier. Excluding items, adjusted earnings amounted to $2.14 a share, exceeding the mean analyst estimate of $2.05. Revenue rose 12.5 percent from a year earlier to $54.4 billion, slightly below the mean analyst estimate.